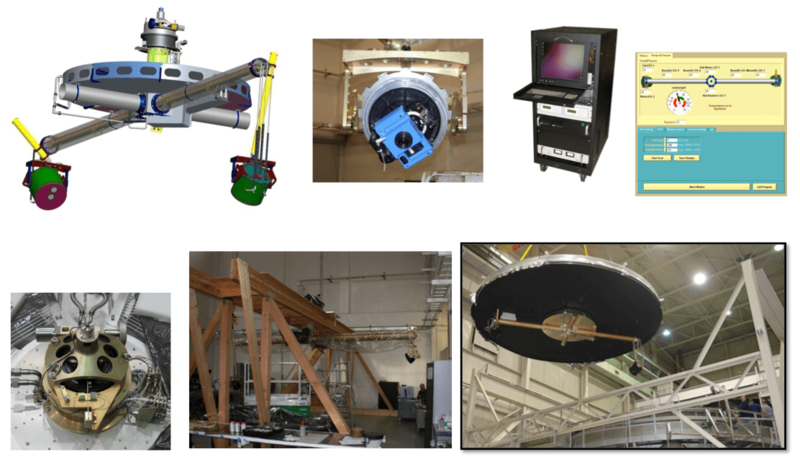 IDG’s PG was utilized by NASA at the Goddard Space Flight Center to assess the ISIM structure – the structure that will house the instrumentation for new James Web Space Telescope. 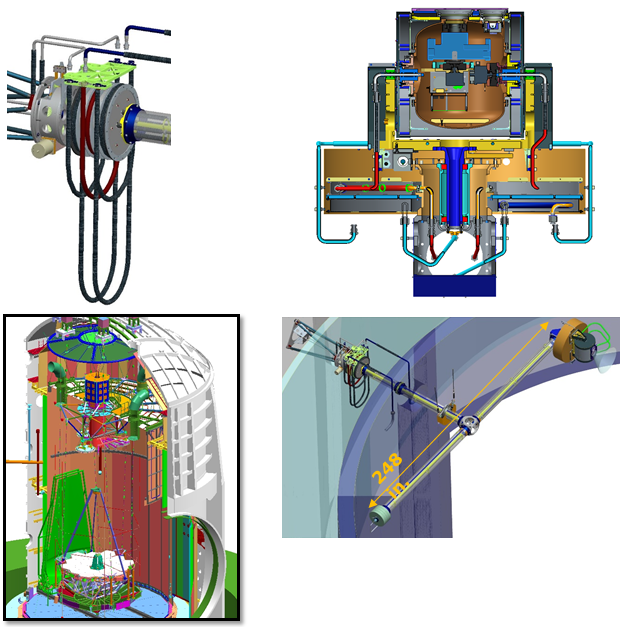 The image shows the ISIM structure in the test chamber at Goddard. The PG System is mounted to the ceiling of the chamber and rotates around the ISIM structure, while cameras mounted in pressure vessels at either end of the boom take thousands of pictures. During testing the chamber is held at near space conditions – hard vacuum, at approx 20°K (-250°C). The Goddard PG system featured a 22′ boom with camera pods on either end. The boom was rotated through 360° with a cryo-stepper motor coupled to a custom designed vespel worm gear. To minimize radiation the boom was actively cooled to cryogenic temperatures, while the pressure vessels that housed the cameras were actively maintained at standard temperature and pressure. Click here to see video of the ISIM testing at the Goddard Space Flight Center. Photogrammetry (PG) is a method of creating extremely accurate three dimensional models utilizing two dimensional imaging. This provides a means of assessing as-built engineering tolerances of complex assemblies and structures. 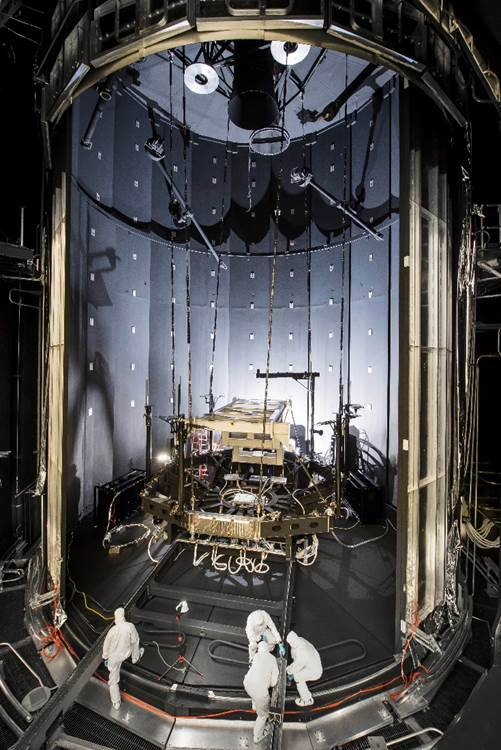 Pictured below is the IDG’s cryogenic photogrammetry system at Johnson Space Center.